LadyElisabeth wrote: I love this game, but I need help. Where's the pendant?! I've looked everywhere but can't see it at all...so I can't figure out the good ending. Hello there . To get both endings, it’s pretty simple: during your last time in the garden (recognizable because of the clock ticking), you’re given the golden key to enter the tree and can either do it right away or explore what remains of the area. The “good end” requires that you discover the last puzzle hidden in the bottom left part of the garden (just click on the magnifying glass), which will give you the pendant. And voilà! Sorry, but it's not there. I'm in the scene, but there's no spot in the area you mentioned. LadyElisabeth wrote: Sorry, but it's not there. I'm in the scene, but there's no spot in the area you mentioned. While I do hope for even more interactivity and more endings, I definitely appreciate how you place emphasis on quality over quantity. Your games always look so polished and pretty, plus the consistently psychological and dark subject matter always thrills me. Nice job as always. Re: Garden of Oblivion [LD30][drama][horror][puzzle] Now on Steam! 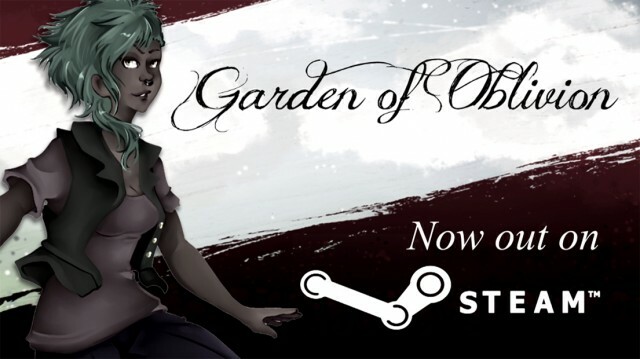 I'm happy to announce that Garden of Oblivion is now available on Steam. Still free, the game has been improved overall upon this new release. And thanks to Marcel Weyers, a German translation has been added too! If you haven't had the chance to play it yet, now's the time!